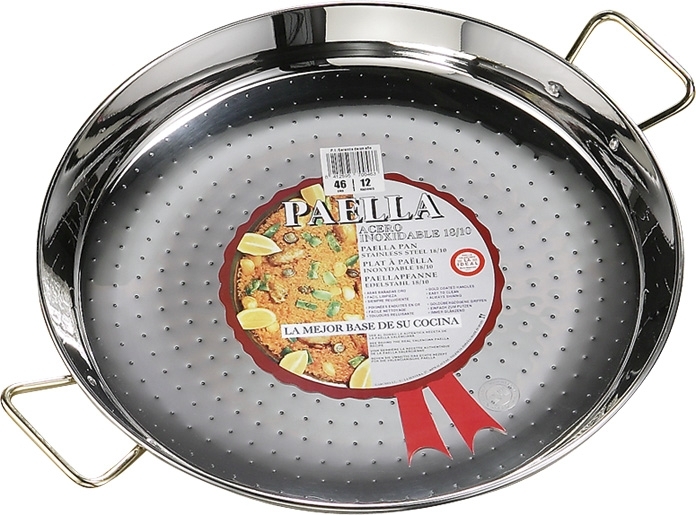 Our stainless steel paella pans stand out with because of their shiny polished finishes and golden handles. Crafted with top quality stainless steel, they look distinguished, have easy maintenance, and can be cleaned off in the dishwasher. This model is suitable for gas and open fire. It has a special slightly dished bottom to concentrate the oil for frying. - Clean with soap and water before its first use. 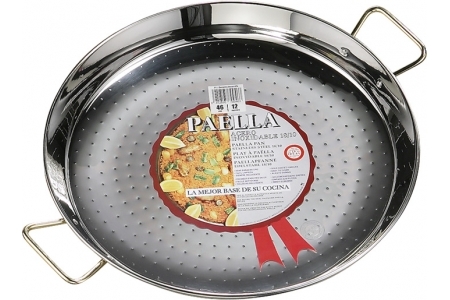 - Fill the paella pan with water immediately after using it. It will be much easier for your to clean it later on. - Do not use bleach to clean it off. (Shipping costs are automatically calculated before you confirm the shopping cart).